What's New at AVI | More Bright Ideas. Thank you for sharing with AVI Foodsystems! 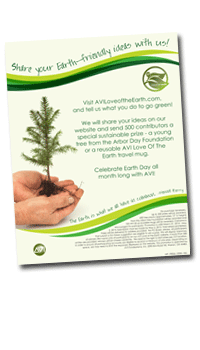 AVI is proud to do our part in promoting environmental sustainability. Thank you to those who submitted your earth-friendly idea. Each contributor is receiving a tree from the Arbor Day foundation!